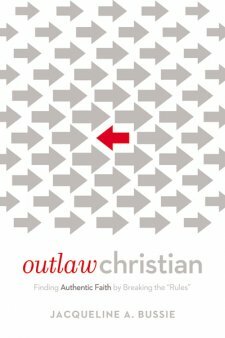 I just finished reading Outlaw Christian: Finding Authentic Faith by Breaking the “Rules” by Jacqueline Bussie and I’m going to share my thoughts on it. This book is all about how the unspoken “rules” of modern Christianity actually does more harm than good, and can even end up pulling us away from God. Rules such as never getting angry at God and comforting using only Christian cliches need to stop for Outlaw Christians. I completely agree with both of definitions, and I think that’s what Christianity should be about. In my opinion, doubt and questions are necessary in order to grow in your relationship with God. Asking God questions or searching for answers is what helps you to learn and grow. This book has been such a pleasure to read. It made me think about things that I had been ignoring or taking for granted, and I definitely plan to pass this along to friends. When I like a book I usually keep it, but I think it would be the right thing to do to share it with someone else. The author has such a friendly and inviting writing voice, showing a reader that she isn’t preaching to us, she’s simply sharing the things she’s learned the hard way. She uses tons of Biblical and personal examples to explain her ideas and she really knows what she’s talking about. I gave this book 4/5 stars overall, and I think I would like to check out her other book, The Laughter of the Oppressed: Ethical and Theological Resistance in Wiesel, Morrison, and Endo. *I received a free copy of this book from the publisher via BookLook Bloggers in exchange for an honest review. Next Furthermore by Tahereh Mafi Review!